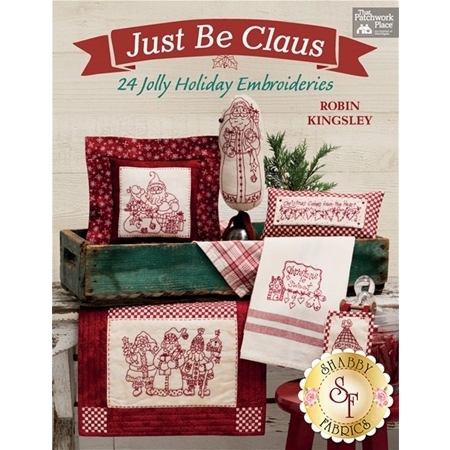 Just Be Claus by Robin Kingsley is 94 pages of holiday fun! 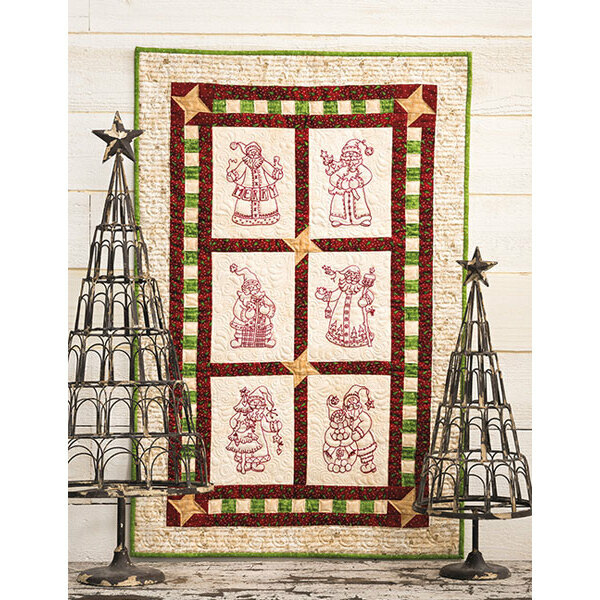 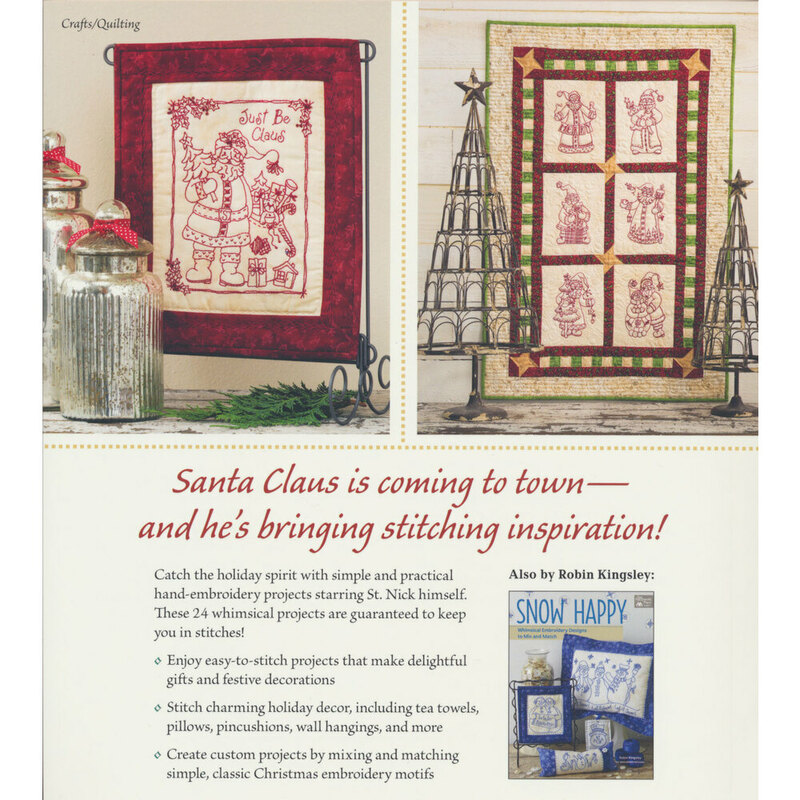 This book contains 24 Christmas projects full of Santa Claus and Christmas cheer, from tea towels and pillows to pin cushions and wall hangings. 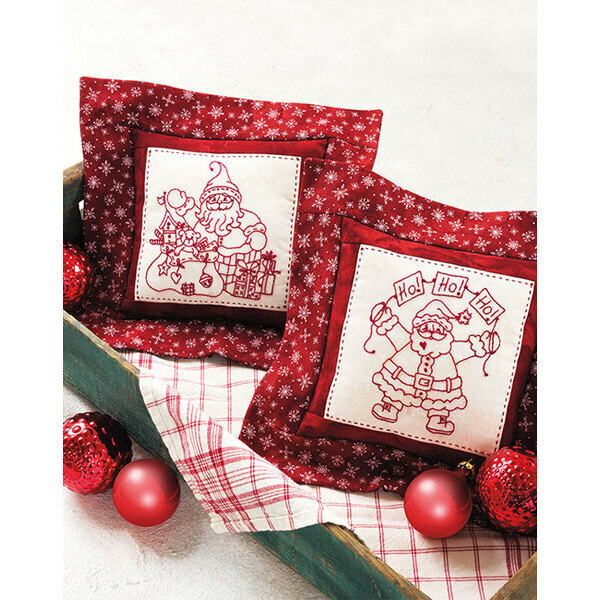 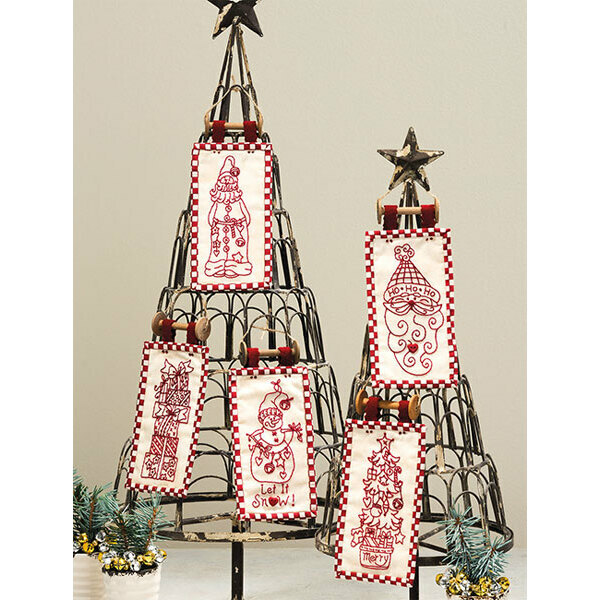 Create easy-to-stitch projects for personal Christmas gifts and decorations!